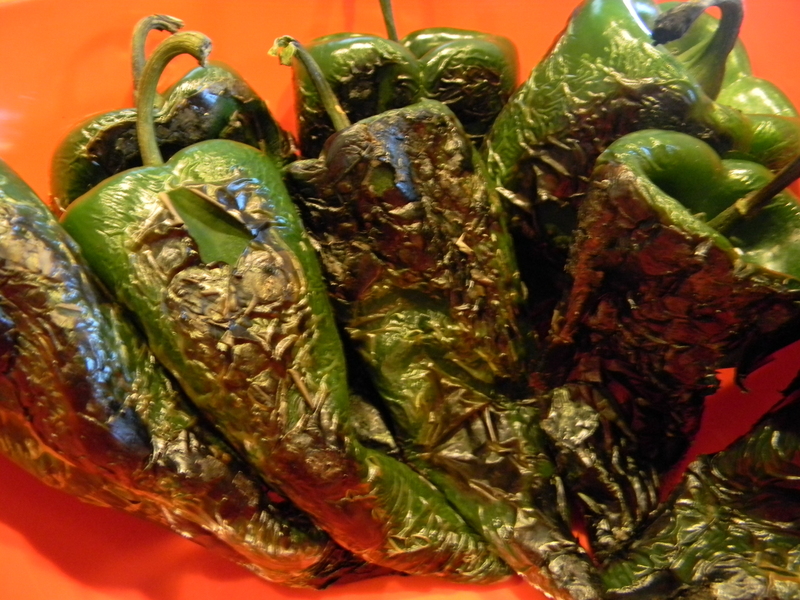 I used poblano chilies in this recipe and seem to have gotten a super hot batch of them. Ouch. 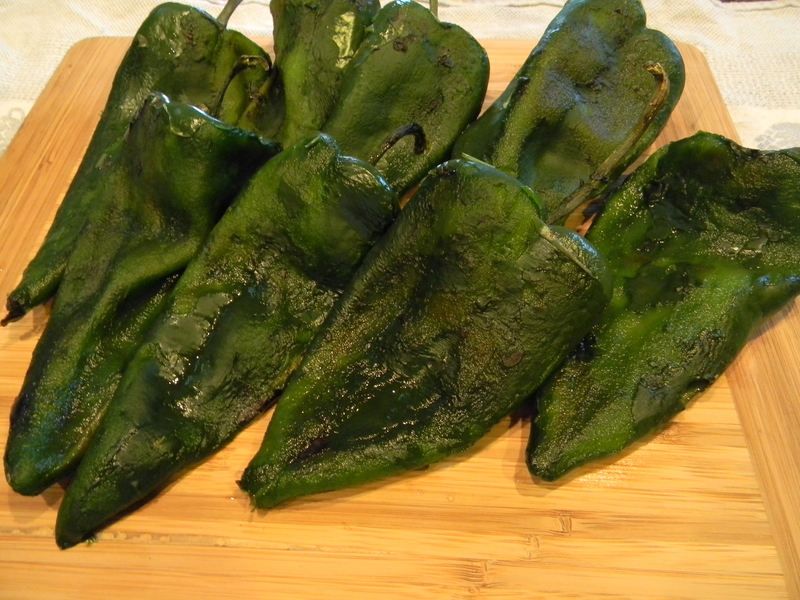 If you don’t mind heat, use poblanos. However, I would recommend using red bell peppers instead if you don’t want to chance the heat. I cooked my brown rice with a few saffron threads, which made it phenomenal, but you can omit it for obvious reasons. I also opted to melt a strip of monterey jack cheese over my peppers (mainly because my husband and son won’t touch them if they are too healthy) but you can omit the cheese to keep it low-fat and low-cal. 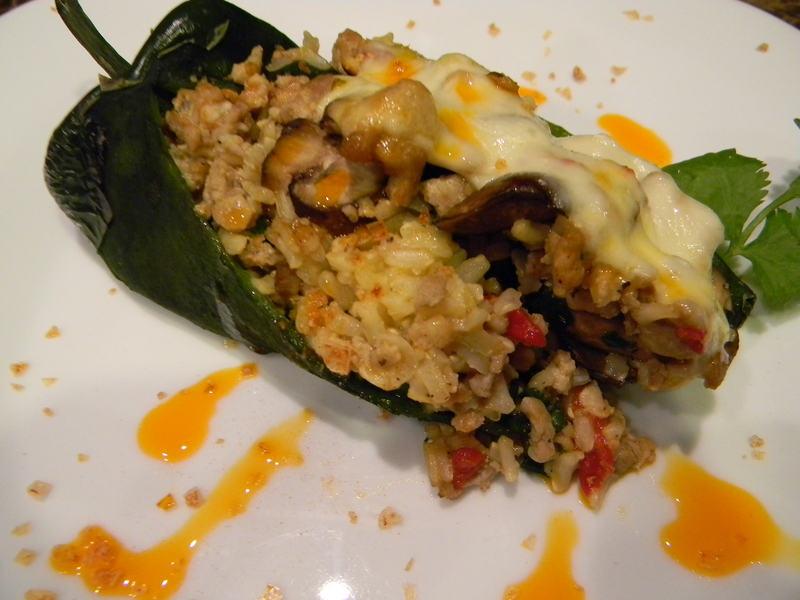 Another option is to omit the chicken and replace it with spinach and corn or black beans for a nice vegetarian option. Preheat oven to 350 degrees. Rinse and pat dry peppers. Char the skin of the peppers until blackened on all sides under the broiler, on the stove top (directly on the burner), or on a grill. Let the peppers sit for about 10 minutes then run under cool water and the skin will slip right off. Once all the skins have been removed, make a slit in each pepper from top to bottom and squeeze seeds out of each one. In a medium saute pan, over medium heat, add pine nuts and cook stirring constantly for 1-2 minutes until fragrant. Pour pine nuts into a large bowl. In same skillet, drizzle a tablespoon of olive oil. Over medium heat, cook mushrooms until softened, about 3 minutes. Season with salt and pepper. Pour mushrooms out into bowl. 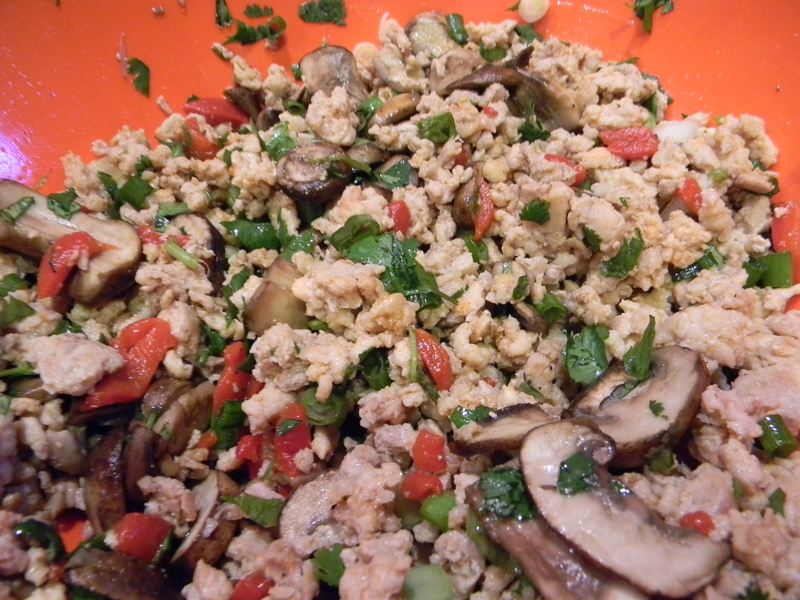 Add ground chicken to skillet, season with salt, pepper, paprika, and garlic powder. Cook over medium heat for 6-8 minutes, stirring occasionally, breaking up any chunks with a wooden spoon or spatula. Drain off any remaining fat in the pan and add chicken to bowl. Add rice to bowl, roasted red pepper, onions, and cilantro. 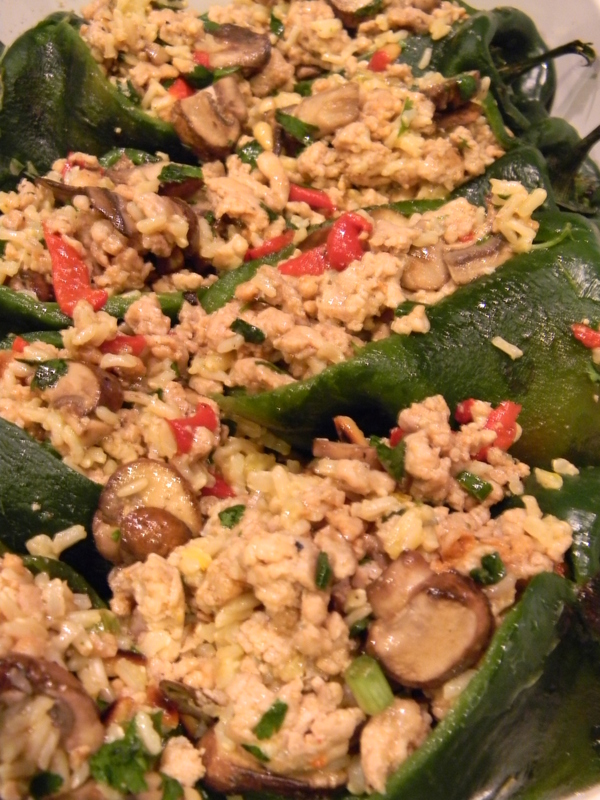 Place all peppers in a large baking dish and stuff each with the filling. Bake for 20 minutes. 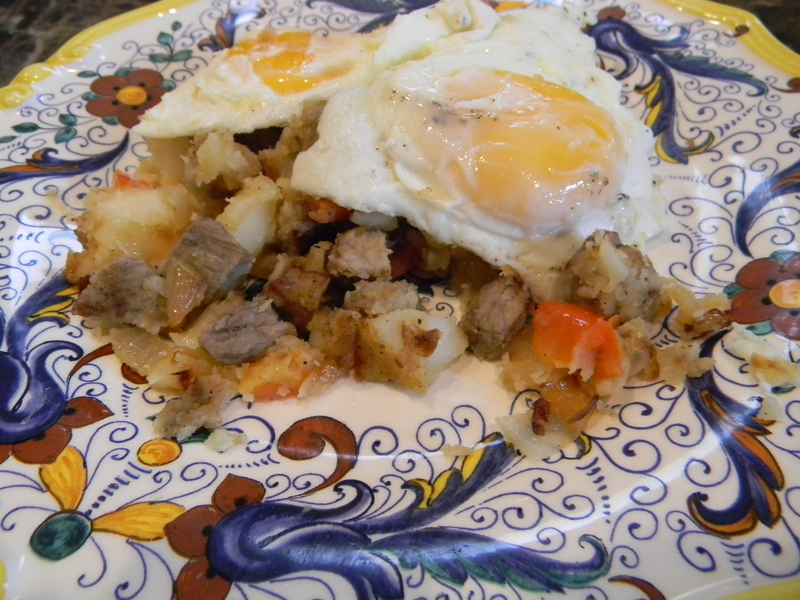 I was super excited to get to make my own hash from the leftover corned beef brisket that I had. 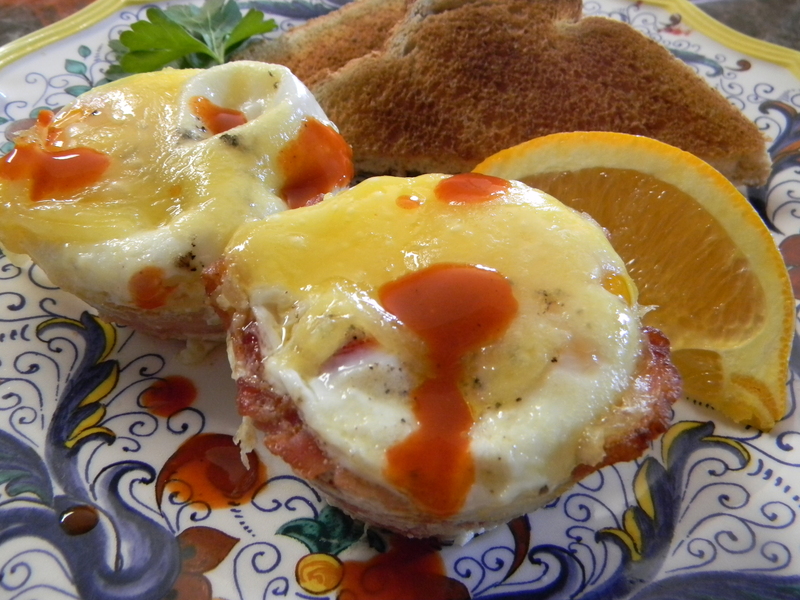 I have only had it at restaurants or even out of a can (shamefully) but had never made my own. Why hadn’t I? 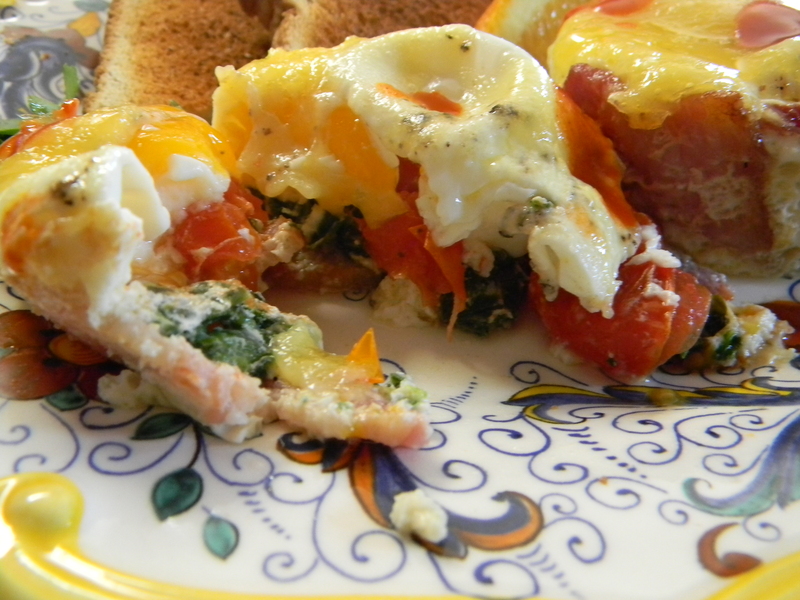 It was so simple to do, I actually cut everything up the day before and then just tossed it in the pan for an easy breakfast. Not to mention a real crowd pleaser! The key to this dish is to cut everything into uniform diced pieces. In a large skillet over medium heat, melt 2 tablespoons butter. Add onions and peppers, cook stirring occasionally until softened and slightly caramelized, about 10 minutes. Season with salt and pepper. Add potatoes, beef, parsley, and salt and pepper. Let cook about 4 minutes undisturbed, flip over with a spatula, then cook another 3 more minutes until potatoes are nicely browned. Spoon hash onto 4 individual plates. 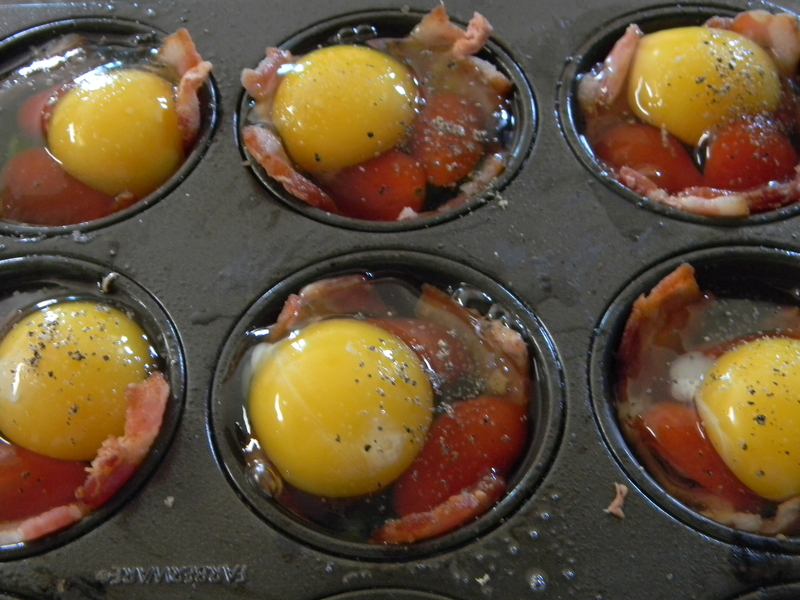 In the same pan, melt remaining one tablespoon butter over medium heat and crack eggs into pan. Season with salt and pepper and cook for 3 minutes until whites are cooked. Flip eggs over with a spatula to cook for another 30 seconds if you prefer a more cooked yolk. Place 2 eggs over each plate with hash. The brine really makes the meat tender, flavorful and juicy. You can add potatoes and more carrots to this mix as well. Also, I would HIGHLY recommend making this portion for two people (or doubling the recipe) and using the leftover meat for corned beef hash in the a.m. You will thank me later. Fresh corned beef hash is amazing, easy and you will thoroughly impress your significant other/children/parents/insert a person. In a small bowl combine salt, sugar, coriander, mustard, peppercorns, allspice, thyme, 2 bay leaves, cloves, cinnamon, and ginger. Rub the spice mixture into the meat. 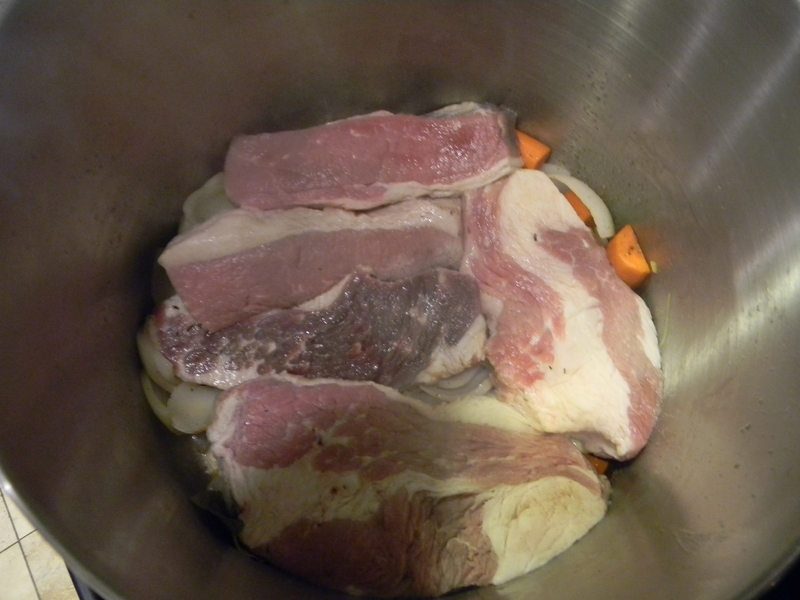 Place meat in a large pot or bowl and submerge in cold water (Note: you may need to weight the brisket down). Cover the pot with a lid or foil and refrigerate 6 hours to overnight. Preheat oven to 300 degrees F. Remove meat from the brine, rinse in cool water, and pat dry with paper towels. Discard brine liquid. In a large oven-proof pot (Note: if you do not have an oven-proof pot, cover the handles with foil), add olive oil and heat over medium. Add onion, carrots, garlic cloves and remaining bay leaves and cook for about 10 minutes until softened. Place meat on top of vegetables and cover with water (just to the top of the meat). Turn heat to medium high and bring to a boil. Skim any foam that comes to the surface. Place foil over the pot and cook for 15 minutes on the stove. 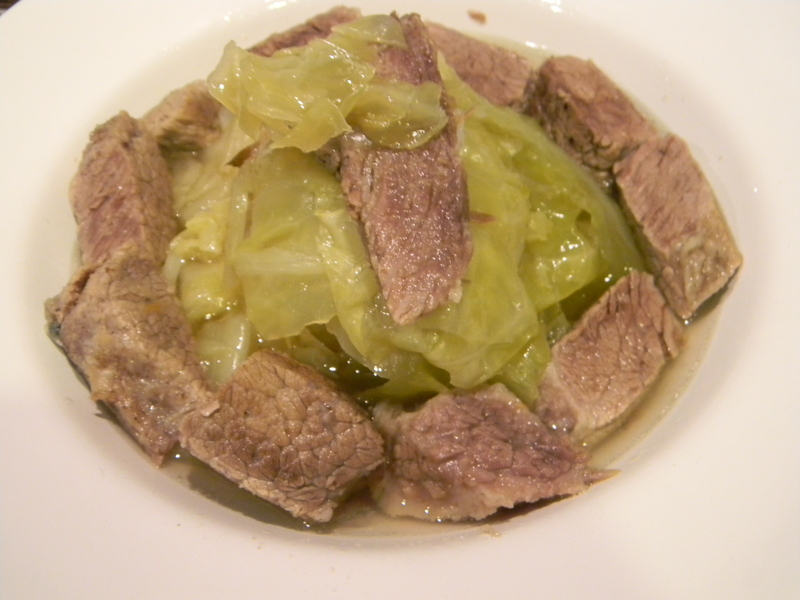 Place the covered pot in the oven and cook for one hour, add cabbage and cook for one and a half hours more. Remove the meat to a plate, tent it with foil and let it rest for 15 minutes. 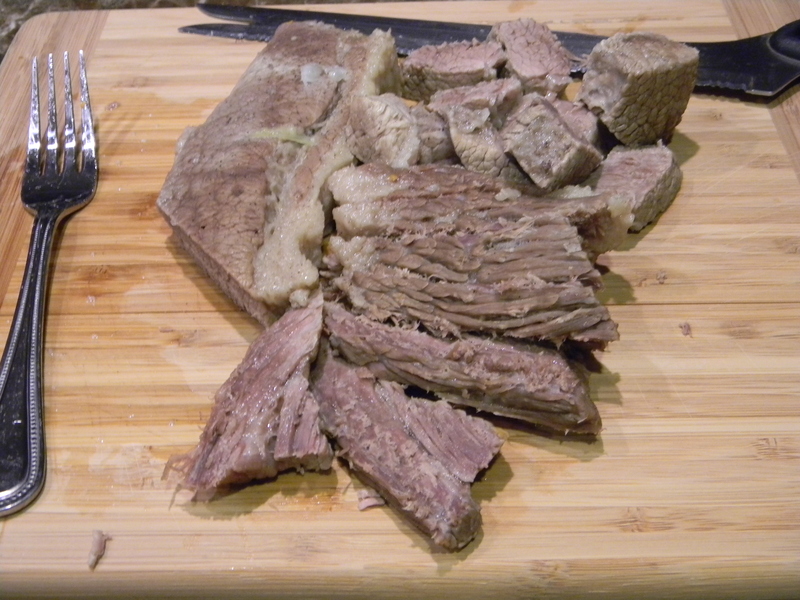 Trim any fat off the beef (feed it to your extremely grateful dogs) and slice it against the grain. 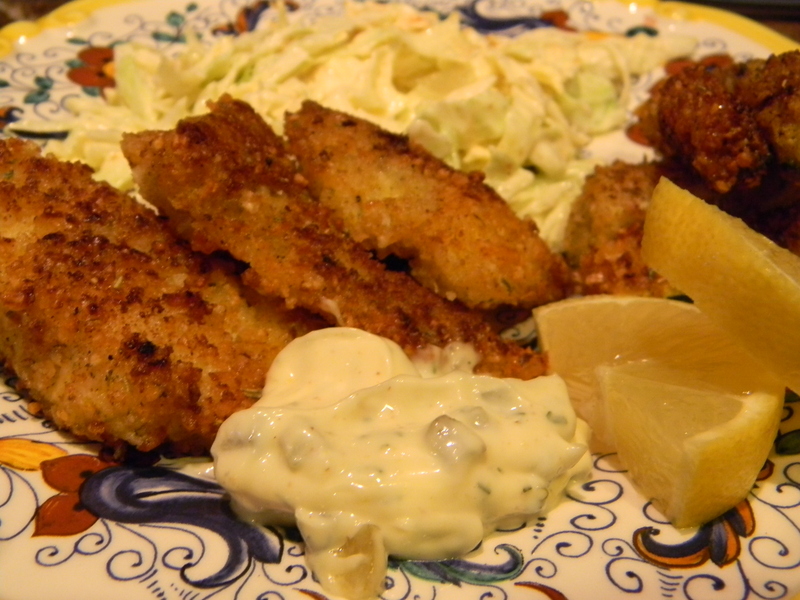 Serve over cabbage and top with some of the cooking liquid. 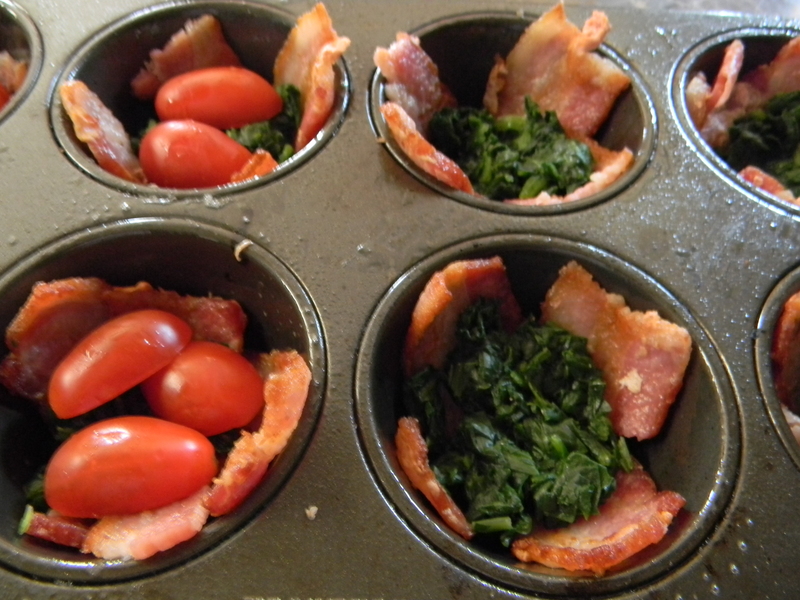 Garnish with freshly chopped parsley. Pork belly is everywhere right now! I see it every time I go into our local Asian market, it is on the Food Network, it is on menus. I walk by it and obsess about what I can make with it. This time around I snagged one and am glad I did! Tonight was a culinary adventure, worth taking. This dish would pair nicely with some garlic sauteed spinach and mashed potatoes with a hint of black pepper, wasabi, or even chilies. Preheat the oven to 375 degrees. Line a baking dish or small roasting pan with tin foil. Pour soy sauce, vinegar, fish sauce, lime juice and water in the bottom of the roasting pan. Place pork belly on top of liquid skin side down. 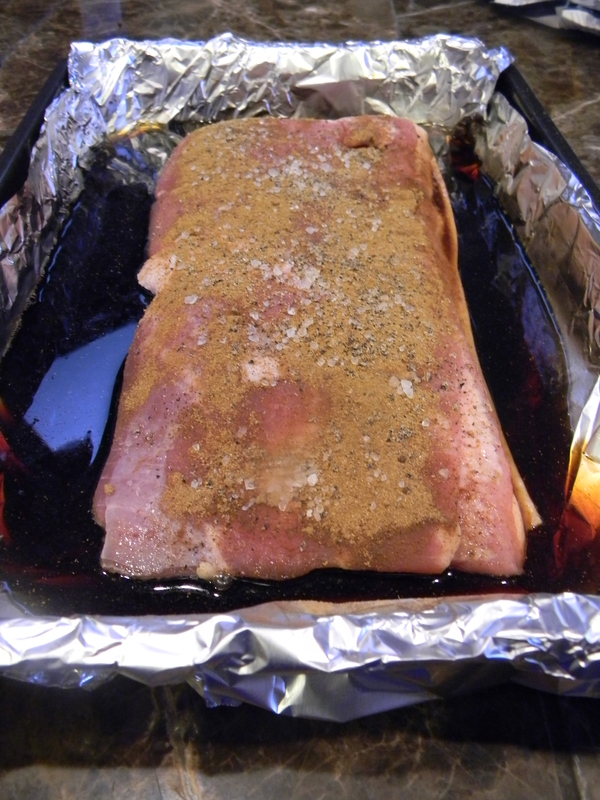 Rub the top of the pork belly with the Chinese 5-spice powder, salt and pepper. Place pork in center of the oven and cook for 1 hour or until internal temperature comes to 160 degrees. 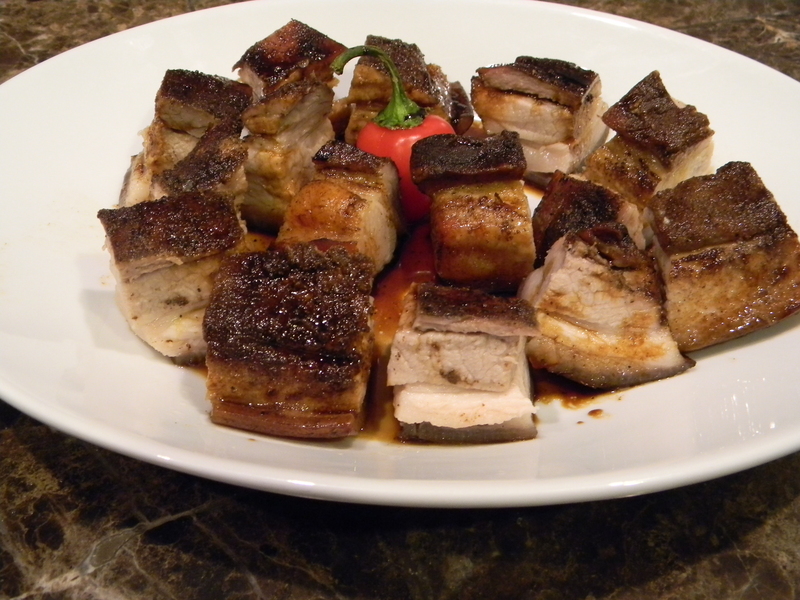 Remove the pork from oven, turn on the broiler and flip pork belly over with tongs. Place back in oven and broil on the same rack for 10 minutes until skin is browned and slightly crisped. 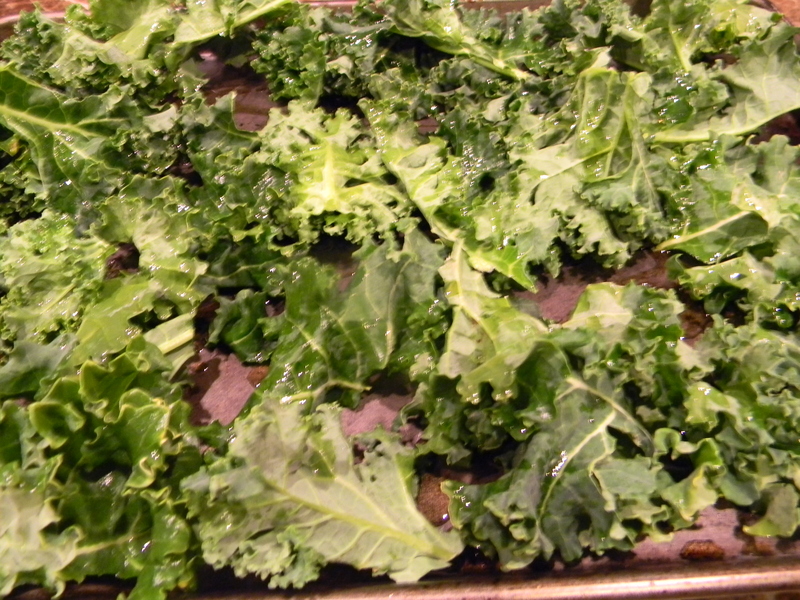 Remove from oven and let rest for 15 minutes to let the juices redistribute. Slice into large cubes and spoon remaining sauce from pan over meat. 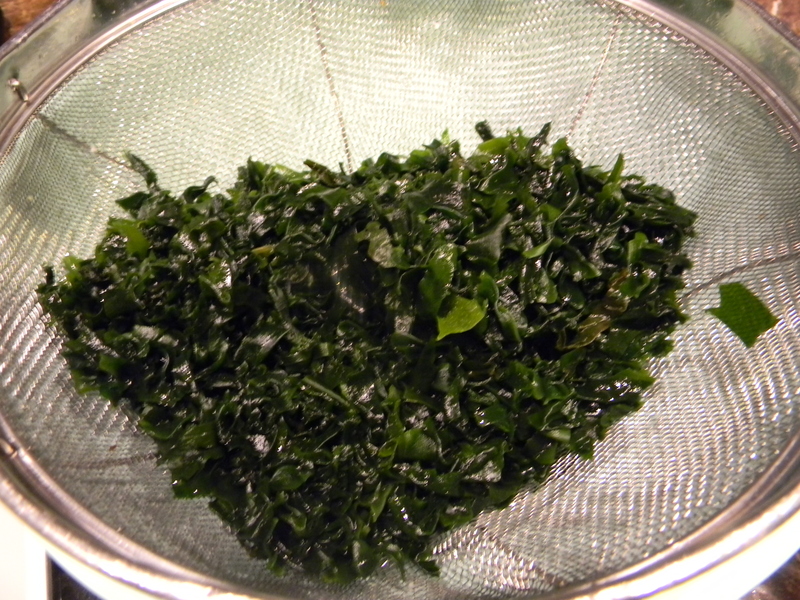 I LOVE seaweed salad. I like to think I am eating mass amounts of vitamins and phytochemicals (really really good plant stuff). I order it every time we go out for sushi. The type I found isn’t the one they use at most of the restaurants, but it was still the same flavor. I mean seaweed is seaweed, I guess. Place cucumber slices in a colander and sprinkle with salt. Let the moisture drain out for 15 minutes. 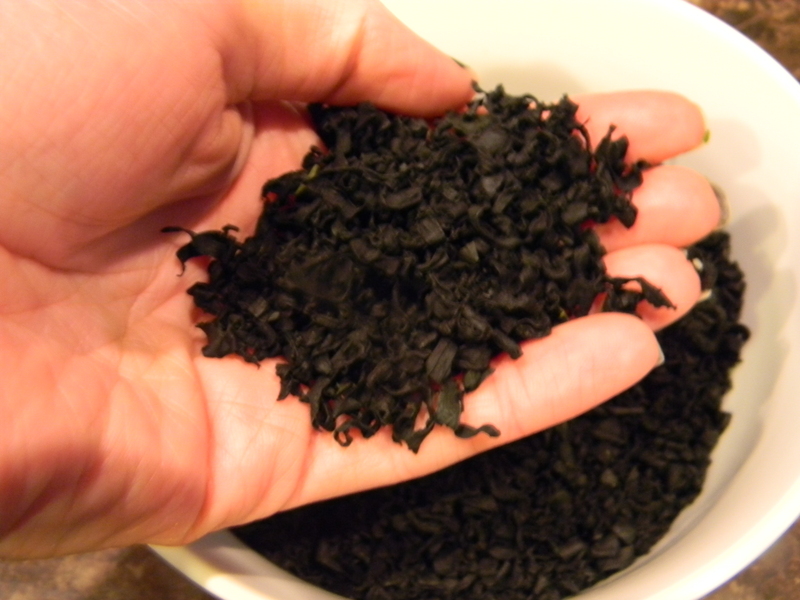 While the cucumbers are sitting, soak the wakame according to package instructions to soften and rehydrate the seaweed. 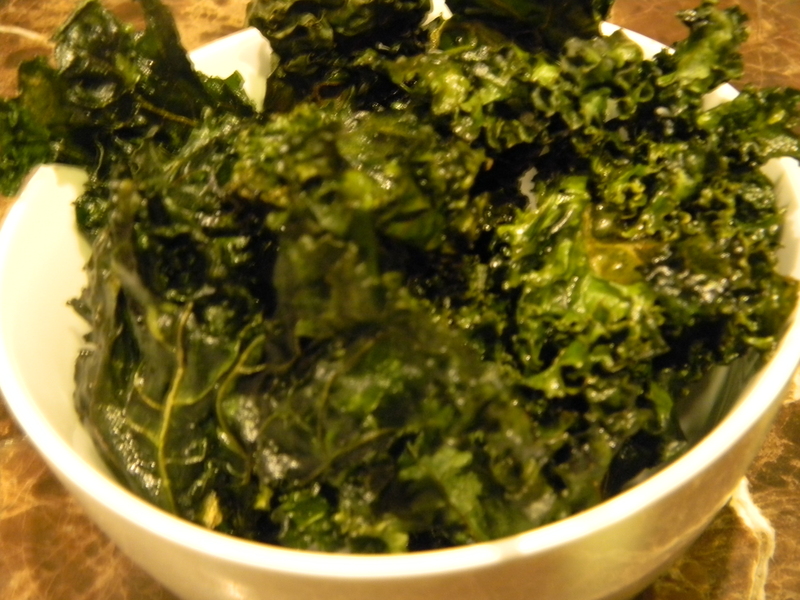 When the seaweed is done, strain the seaweed and place into a medium bowl. Add the cucumbers to the bowl. In a small bowl, mix together sugar, vinegar and sesame oil. 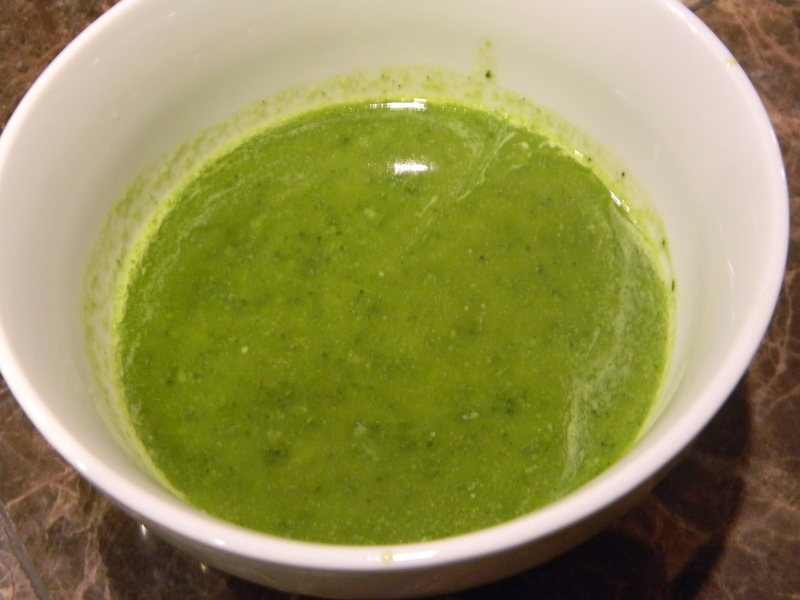 Pour the dressing over the seaweed and cucumber mixture and stir to combine well.